Graphics quality cards for most photo ID card printers like DataCard, Zebra, Fargo, Evolis, Magicard, NBS & etc. 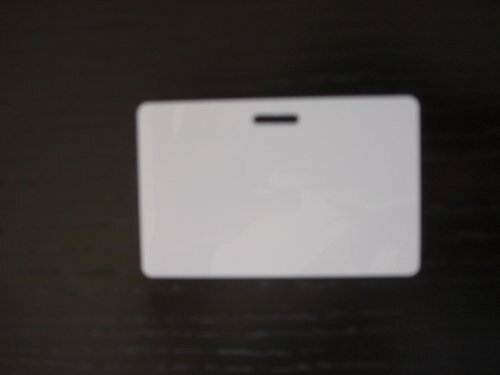 (these cards are not for inkjet printers) Card size: 3 3/8" X 2 1/8" Slot punch size: 1/8" X 9/16" Standard credit card size CR 80 X 30Mil Polish finish on both sides Blank (no magnetic strips and no slots or holes) Satisfaction Guaranteed or your money back! Memories are meant to be cherished forever and our page protectors can help you do just that. These clear protectors have heat-sealed seams for durability and are perfect for displaying and preserving your 4" x 6" photographs. They are also a great size for your family recipes. Each package comes with 12 side loading page protectors. We also offer three different 8" X 8" page configurations to give you even more options. 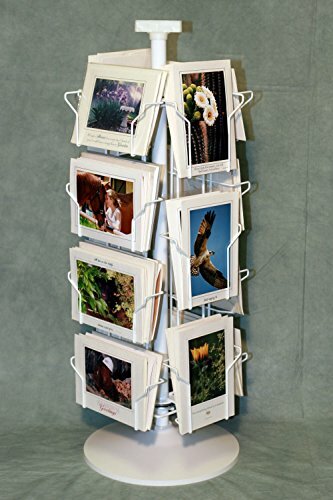 Photographer's Edge, Counter Top Spinner Rack, Both Horizontal & Vertical Pockets For 5" x 7"
This white enamel wire rack is manufactured specifically for Photographer's Edge. It is designed to accommodate 5" x 7" horizontal and vertical cards and has a slot for your own sign on the top. 14 pockets (8 horiz, 6 vert) that each hold up to 12 cards w/ envelopes. Rack measures 29" x 12" x 12". It has a round white plastic 11" base. Professionally displays up to 168 cards. No assembly required. Each rack has a $12.95 shipping charge, as they are sent in their own box. Greeting cards and envelopes not included. Instantly elevate prints with this simply modern picture frame. Made of glass and heavy weight metal, this floating frame securely holds your cherished memories, prints, artwork and more. The simple clean design is sure to look great with almost every wedding centerpiece, home decor and office decor. Show case wedding table numbers, photographs, kids art, documents inspirational quotes, artwork, pressed leaves, and more! These unique free standing frames are great statement pieces for your tabletop. 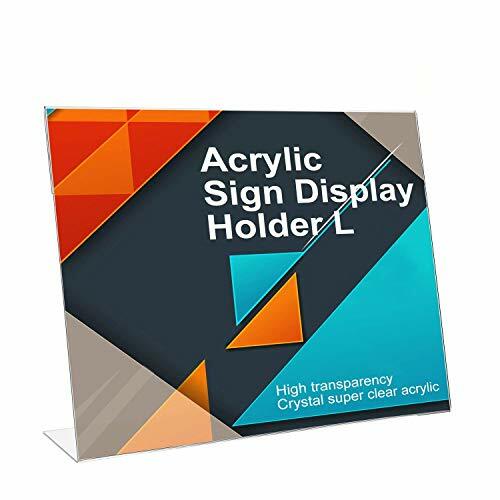 Easy to use, simply unlatch the safety hinge and position your choice of print in the center of two pieces of glass, close and secure the hinge to create an easy stylish display. 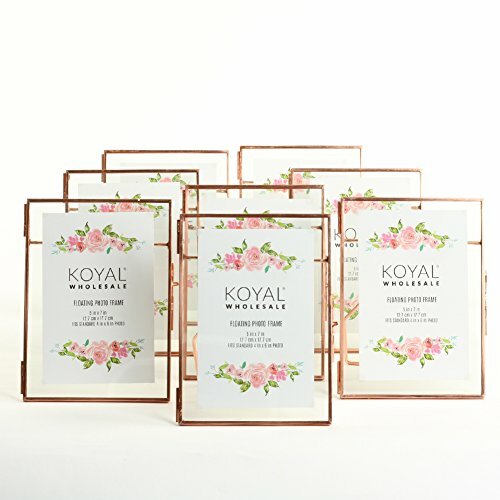 Our frames are multi-use modern pieces made for special event decoration and everyday living. 1.You can place this clear photo frame on any horizontal surface, like table, desk, office work, bedside cabinets etc.2.More choice: Not just for photos, but also trading cards, ticket stubs, magazine clippings, drawings, currency, awards, and post-cards.Cautions:1.We guarantee the product is brand new.But acrylic product is easy to scratch, so that every product has film protection, please tear before use.2.Product is packed in cartons, but it doesn't contain photos. Acid-free polypropylene photo pages can help protect photos. Mix and match pages to customize photo album. Space-saving pages for all your photography needs. Individual pockets protect photos from smudges, dirt and scratches. Ideal for long-term storage, non-PVC. Free polypropylene material is acid-free and won't lift print. Fits standard three-ring binders. 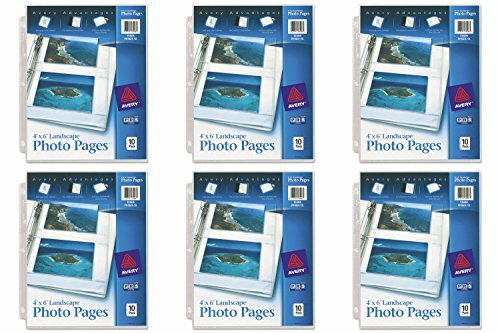 Photo Albums Accessories Type: Pages; Width: 8 1/2"; Height: 11 1/4"; Photo Width: 4". Display your photos with variety suitable to your diverse subject matter. 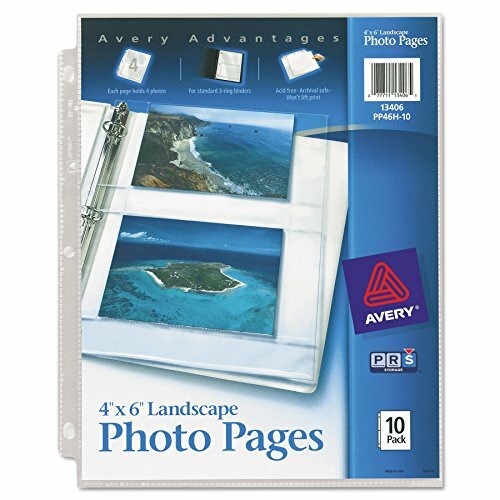 These Photo Pages allow you to insert four 4 x 6 Inches photos in each page. Three protective photo pockets offer the option of portrait and landscape orientation on the same page so you can properly appreciate your photos of both soaring skyscrapers and sunsets that stretch the length of the horizon. 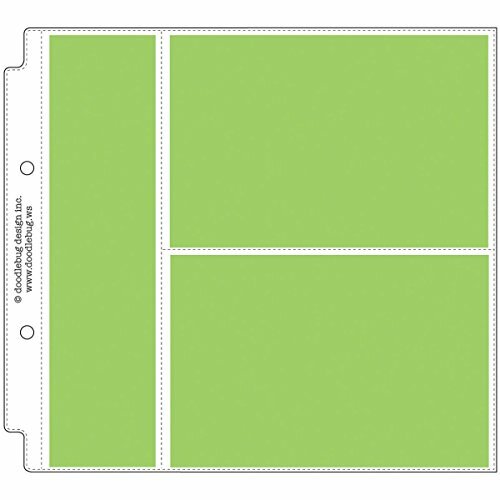 Prepunched holes let you fit the pages conveniently in standard three-ring binders. The pages are acid free and archival safe to ensure your many photos stay in top condition to show off again and again. 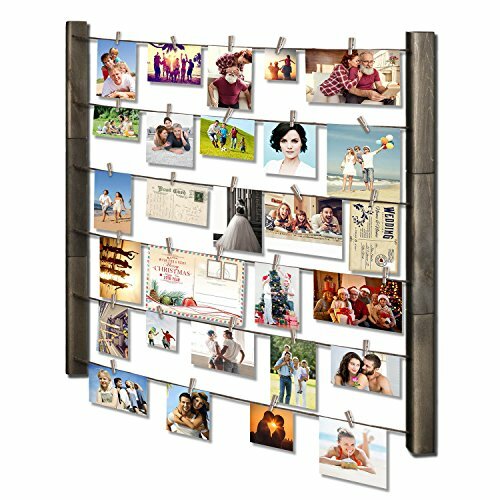 This Hanging Picture Frame will stand the test of time and make your memories last... ◆ Romantic Way to Record Memories * Turn your Polaroid prints, postcards and everyday shots into a spectacular display with this picture frame. * Use this frame at a wedding ceremony for guests to write their best wishes on blank cards clamped to the string. ◆ Photo Display & Wall Art In One * Break convention and liven up your living space by adding something special to a blank wall that needs a lift. * Combine photos, travel tickets, some gadget, postcards, specimens as you want. ◆ More Secure for Triangular Design Triangular wood bards are more secure than rectangular ones for wall mount. Necessary hardware and instruction included. 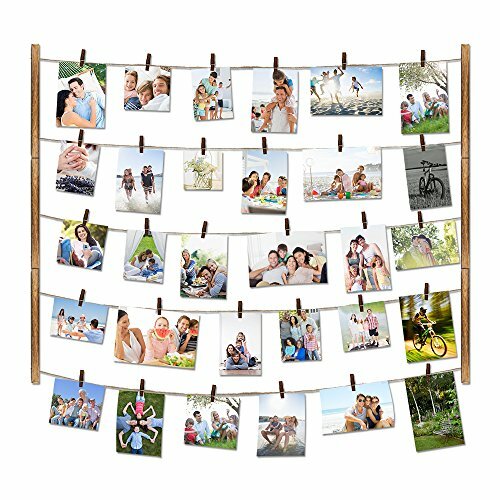 ◆ Flexible Hanging & Changeable Style * Display mix-sized & mix-shaped photos with 6 strips. * Refresh your room décor by simply removing or adding images thanks to the 36 removable clothespins. Specification Weight: 500g Size: 30* 26 * 1.9 in Color: weathered grey Material: wood + twine cord ✉ Product quality and 100% customer satisfaction guarantee. Any problems, please feel free to contact us. Looking for more Horizontal Photo Cards similar ideas? Try to explore these searches: Crumb Rubber Backing, 72mm Adapter, and Truck Shift. Look at latest related video about Horizontal Photo Cards. Shopwizion.com is the smartest way for online shopping: compare prices of leading online shops for best deals around the web. Don't miss TOP Horizontal Photo Cards deals, updated daily.